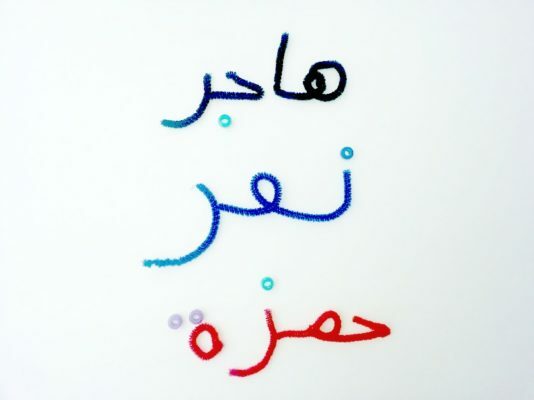 Last time, I posted an idea about making Arabic puzzles. 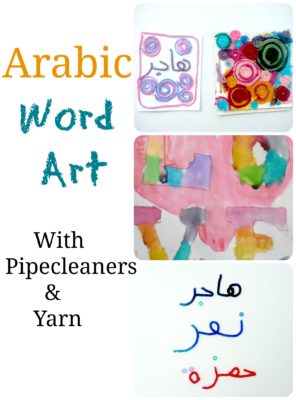 Here is another simple idea to help children learn arabic, using pipecleaners and beads. 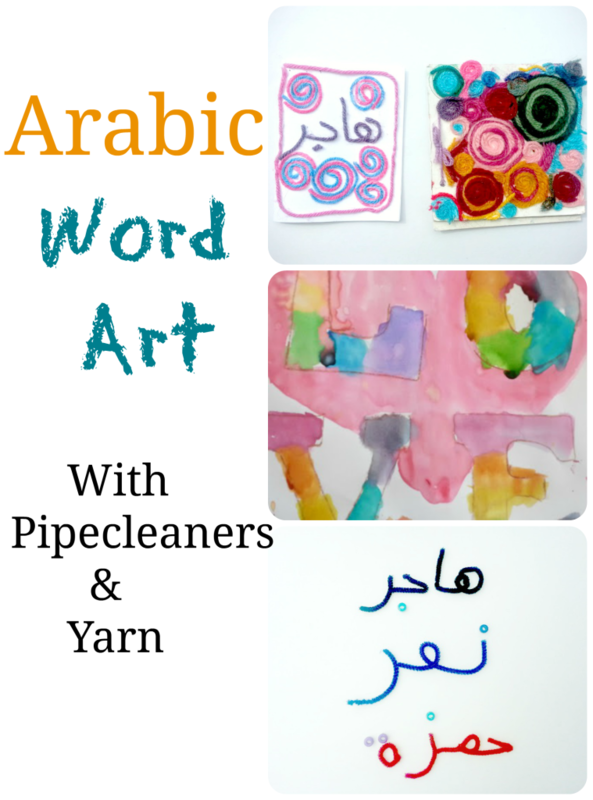 Pipecleaners are soft, bendable and so versatile, which makes it a hit among kids (and apparently some adults too like me lol). I saved bits and pieces of it in a box from all the little crafts my kids did, eventually wondering as it piled up, “Now, what am I going to do with all of these?” Well, all that hoarding finally paid off as I discovered at last a good use for them! 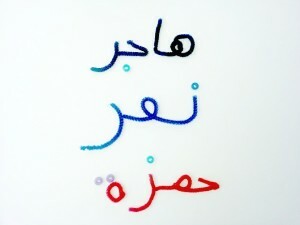 They are the perfect material to make arabic words with! They are bendable, yet they are not messy like playdough. You can also make fancy 3-d covers for a notebook, or “soft” wall art, using the same concept but with yarn. 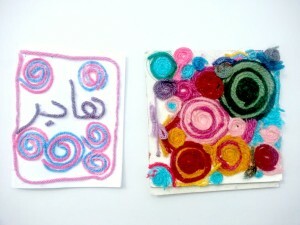 All you will need is to place tacky glue strategically into the design of your choice, and place the yarn on top of it. 1. Using recycled paper, cut out templates of different letters of a four letter word. 2. 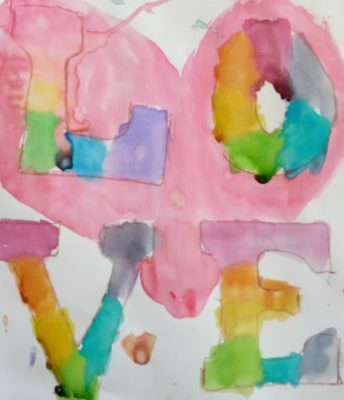 Using oil pastels, trace two letters on each row onto the paper, centered. Color in if desired, or create different designs in the letters such as polka dots, stripes, etc. 3. Using watercolor paint, paint over the pastels, for a really cool contrasting effect.